Building Memories to Last a Lifetime in a Home of Your Own at Elverta Park. If you have always dreamed of owning a new home, Elverta Park in Antelope presents the opportunity to own a stunning home to call your own while building a lifetime of memories with your family. Situated in a unique pocket of Antelope in the Sacramento area, the neighborhood of Elverta Park is truly special. Elverta Park features seven unique home designs. Come tour the model homes and find out more about Elverta Park and the many benefits this charming community has to offer. Surrounded by large oak trees, the homes are designed to integrate right into the natural terrain, taking advantage of the short commute to Roseville or the Sacramento core area makes Elverta Park the perfect place to come home to after work. Enjoy the convenience of living just minutes away from the Dry Creek Bike Trail, Cherry Island Golf Course, Antelope Greens Golf Course, local parks, and more. Our new home community is located within a proximity of 1.5 miles to Gibson Ranch, which is a beautiful regional park with over 300 acres offering a large variety of activities including, hiking, sports, fishing, biking, farm animals and much more. 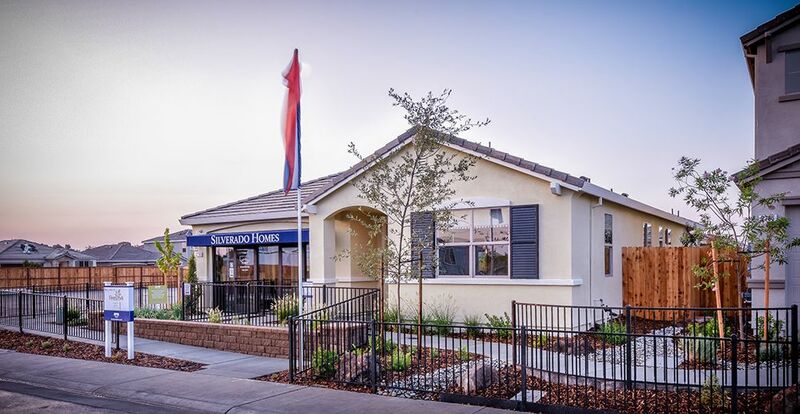 Elverta Park is conveniently located next to nearby golf courses, shopping, dining and approximately only 15 miles from the Sacramento International Airport. Elverta Park gives home owners the feel of rural living while being conveniently located near Roseville, with ample shopping, dining, employment, and much more. Everything you need is within just a short distance of your new home, giving the best of both worlds: convenient accessibility and relaxing tranquility. Newly completed Cherry Blossom Park is within the Elverta Park community. Spectacular amenities for children and adults to enjoy, such as BBQ pits, playground amenities, shade structures with outlets and more. We would love to visit with you and introduce you to the homes in this neighborhood.